Single Varietal fresh extra virgin olive oil. Olive variety will vary based on the Northern or Southern hemisphere. Fresh varieties available at time of order. 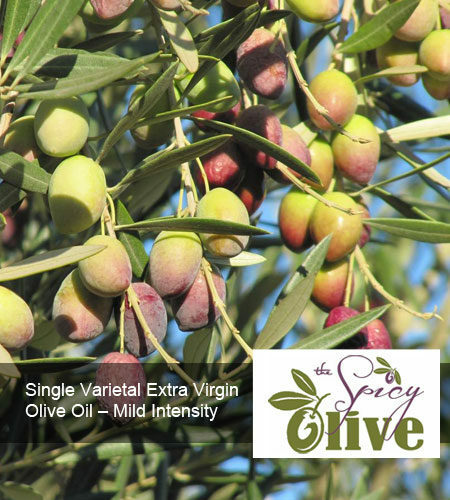 Single Varietal fresh extra virgin olive oil – Mild Intensity. Olive variety will vary based on the Northern or Southern hemisphere. Fresh varieties available at time of order. If you desire a particular variety please call the store at 513-847-4397 to check availability.